With the intention of NOT making this post too lengthy, I feel that it would be irresponsible of me to not take a moment to acknowledge this past year and how pivotal it has been for my journey. I have the tendency of constantly focusing on the present moment and my future plans and projects, and so I felt like today, the last day of 2015, would be a great time to look back. This past year was replete with travels. From England to the USA, from Italy to Greece, with a few trips to Toronto as well. The yoga vacations continued and evolved, bringing some familiar faces back together while introducing new ones into our roaming family of seekers. 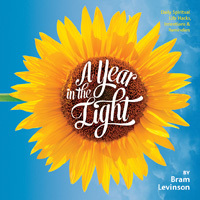 My second literary labour of love was born just six weeks ago and is already almost sold out of its first printing, and there are some pretty impressive moments related to A Year In The Light: Daily Spiritual Life Hacks, Intentions & Reminders yet to come. 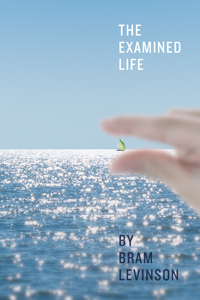 The social media campaign created by the readers, in the same vein as the one begun years ago for The Examined Life, took off and keeps on keeping on, which makes me happier than I can say. I let go of the morning television spots I have been doing for over two years on Breakfast Television Montreal, as I do with anything that I feel my time with has run its course. And, of course, the teaching. 2015 has seen more workshops and yoga teacher trainings occur, giving me the honour of being able to facilitate the spiritual journeys of more and more people, an honour I take more seriously than I could ever express. The great news is that I will be on the faculties of two more yoga teacher trainings in 2016 at Energie EnCorps as well as at Jazz Yoga. Adding these to the Luna Yoga, Happy Tree Yoga and M.Power Yoga trainings I am already a faculty member of allows me to reach markets in Town of Mount Royal and the West Island, and I am grateful to be invited to do what I do in these areas. 2015 also saw me join the faculty of the Toronto Yoga Conference and Show, and I am happy to say that I will be back in 2016 for more of the goodness that the event offers. I can also say that this past year has been instrumental in teaching me about life and death and the role of the seeker to pursue beauty and light, especially in the darkest hours. I feel more spiritually aware and anchored than I have ever been, and I know that this process of unfurling into deeper layers of awareness is occurring even as these words spill out. With all that said, here’s the bottom line: I sleep at night. I work hard. I continue to learn how tricky it can be to balance work and non-work time, and can say that I have never been happier. I set my intention to be of service to as many people as possible and know that there are dazzlingly brilliant moments lying ahead for us all as long as we understand that the meaning of life is to be here for each other. I hoped to not write too much for this post. I could go on, trust me. But I’ll wrap it up with gratitude: thank you. To every one of you who reads my words, comes to my classes, lectures, workshops, book launches, retreats and who supports my efforts with an encouraging smile or thought. To those who have created the physical spaces for me to bring my offerings to, to those who have come forward as retailers for my books, to those who believe in me when my own belief in myself wavers slightly. Thank you. This journey is magnificent in all its blessings, its chaos, its murmurs and its subtleties. And while the words escape me to convey just how grateful I am to be witness to this spiritual pilgrimage/trek/journey that I have only read about and seen in films, trust me when I write that I will communicate every step of the path as it occurs to remind the world of the expansiveness of the possibilities that lie in wait for those of us pursuing light. Happy 2016 to you all, and I mean that with every fiber of my being. Be well, be happy, be peaceful and be kind. Here’s to the coming year in the light! Previous PostMy Two CentsNext PostWhy? I really appreciate your writing, and I think it’s so important to see men in yoga doing big things and spreading love for the art and the practice of it all ! We’re looking to cater specifically to men, and would love your input and that of your readers!